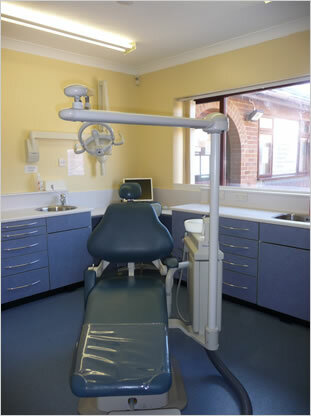 We have many experienced dentists and staff at the practice. They all work together as a team to ensure you have the most pleasant, professional experience when you visit the practice. All our dentists are registered with the General Dental Council and keep their knowledge up to date by attending courses and conferences. Mr. McConnell qraduated from King College in 1987 and joined Bellegrove Dental Surgery the following year in 1988. Mr Mc Connell is part time at the practice. He has special interests in Dental Implantology, Endodontics and Cosmetic dentistry. He is highly experienced in both the surgical and restorative aspects of practice based implant dentistry, and has been placing and restoring dental implants since 1991. If you are interested in booking a consultation with Mr Mc Connell, please speak to one of our receptionists who will be happy to do so. Mr Bassi graduated from Kings College, London and qualified in 1996. He has been working at the practice since 2000. Mr Bassi is part time at the practice. Mr Pathmanathan graduated from Liverpool University and qualified in the year 2001. He has been with the practice since 2009. Mr Pathmanathan is full time at the practice. Hussain graduated from Kings College London in 2008, since then he completed his MJDF qualification in 2011 and is a member of the Royal College of surgeons. He has an interest in cosmetic and facial aesthetics, and has completed courses in Botox and Dermal fillers, as well as numerous clear fixed and removable orthodontic brace systems. Hussain is also currently undertaking post graduate qualifications in dental implants and restorative and cosmetic dentistry from the Royal College of Surgeons in London and University of Manchester respectively. Mr Hussain is full time at the practice. Jasdeep graduated from King’s College London in 2018, having previously completed a degree in Biomedical Sciences at St. George’s University of London. He is interested in preventative and minimally invasive dentistry, as well as minor oral surgery. He is passionate about working with patients when deciding on the best care for them. Karen joined the practice in 1987 and is one of our Practice Managers .Her duties include overseeing overall operations and procedures. Karen is trained in first aid and CPR. Karen ensures that the practice delivers high clinical standards at all-time set out by the BDA, GDC and in-line with CQC. Karen is also trained to assist in implant procedures as she has attended an ADI implant course. She is a valuable, experienced member of the team. She is well known and liked amongst all our patients. She enjoys helping patients and ensuring they are at ease before and after treatment. Karen has wealth of experience and excellent communication skills which hold her in high regard amongst patients and dentists alike. Karen is on hand to answer any queries that may arise during your visit. Elizabeth has been with us for over 10 years she is one of our Practice managers as well as Clinical manager. She qualified in 2008. She has completed her level 3 infection control course, level 2 infection control course, ADI implant course, PIP- prevention in practice course, equity and diversity course level 2, mental health issues course level 2, suture removal course, impression course. Elizabeth is also trained in first aid and CPR. Elizabeth’s is also our Implant Co-ordinator. Elizabeth ensures that the practice delivers high clinical standards at all time set out by the BDA, GDC and in-line with CQC. Elizabeth is on hand to answer any queries that may arise during your visit. Elizabeth’s main goal is to make patients feel welcomed and leave feeling happy with a smile on their face. Suki has been working at the practice since 2009.Whilst most of her time is spent carrying out administrative tasks in our back office she likes to spend some time on reception making sure our patients are happy with the service they are experiencing an is on hand to answer any queries that may arise during your visit. We have a team of 6 friendly, experienced dental nurses who will always do everything possible to ensure you have a pleasant experience whilst at our surgery. We do appreciate that some patients do feel nervous and anxious about visiting the dentist .Rest assured our lovely nurses and team are on hand to put you at ease. Our dental nurses are either already registered with the General Dental Council or are registered on a dental nurse course at college. Our nurses also keep their knowledge up to date by attending courses and conferences some details of which you will find below. Kelly first started with the practice in 1997 and took a career break in 2003 returning to the practice in 2011.Kelly has completed her diploma in Dental Nursing , apprenticeship level 2 in Prevention and control of infection and CPR and first aid training. Kelly has completed a level 2 Equality and Diversity course as well as an Implantology course. She has just embarked on a Radiography at King College, London. Kelly has various roles within the practice from nursing and clinical roles to covering reception at times. Emma joined the practice in February 2016.She particularly likes to put anxious patients at ease and feels content when patients leave practice happy, less nervous and satisfied with their dental treatment and with their experience in dental chair. She is a wonderful addition to our team and is always happy to help. Leanna started employment at the practice in November 2015. She has gained lots of knowledge and experience during her time in the Bellegrove team. She always greets patients with a smile and likes to make sure patients are relaxed during their visit. She enjoys meeting new people every day and is passionate about her career choice. She enjoys working within the team to help make Bellegrove a relaxing and enjoyable surgery. Pauline has been a dental nurse for 36 yrs and loves patient care. She practiced in America for 10 yrs for an oral surgeon and got her radiology certification. Pauline is a team worker, who puts the patients first and does her best to help them feel relaxed in the surgery. Lynsey is the newest member of our team and joined us in September 2018. Lynsey qualified at Guy’s Dental Hospital in 1996 and has attended many courses including implantology, Invisalign and CPR. She also gained a merit grade when completing her Dental Practice Management diploma.Lynsey enjoys working with a wide variety of patients and is a friendly and approachable member of the team. She has various roles in the practice including, nursing, reception and most recently Health Promotion Co-Ordinator where her task is to raise awareness for diseases such as Oral Cancer. Amber has been a dental receptionist for 5 years and joined Bellegrove in January 2016. Amber's role includes overseeing the daily reception desk duties ensuring paperwork is up to date and completed and patients are dealt with a professional and courteous manner. Before year end Amber will have completed her Level 2 qualification in Information, advice and guidance .She has taken on increased responsibilities over recent months which she enjoys.